Caveman Foods is a company that was born a few years ago, but founded on a concept and way of eating that is 50,000 years old. 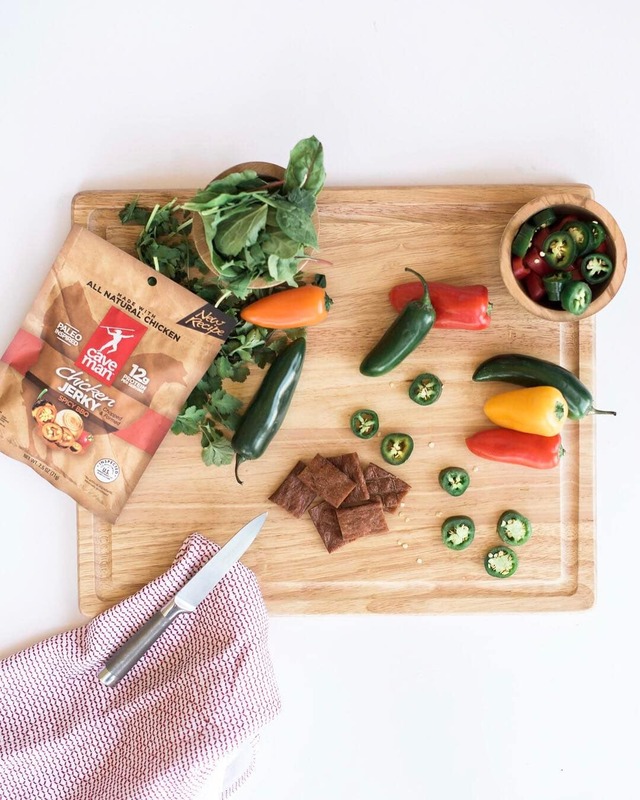 Caveman Foods is on a mission to make healthy snacking easy. Today, around 33% of our calories come from snacks. Half of us snack more than 3 times per day. Yet, 74% of consumers wish there were more healthy snack options. We agree. 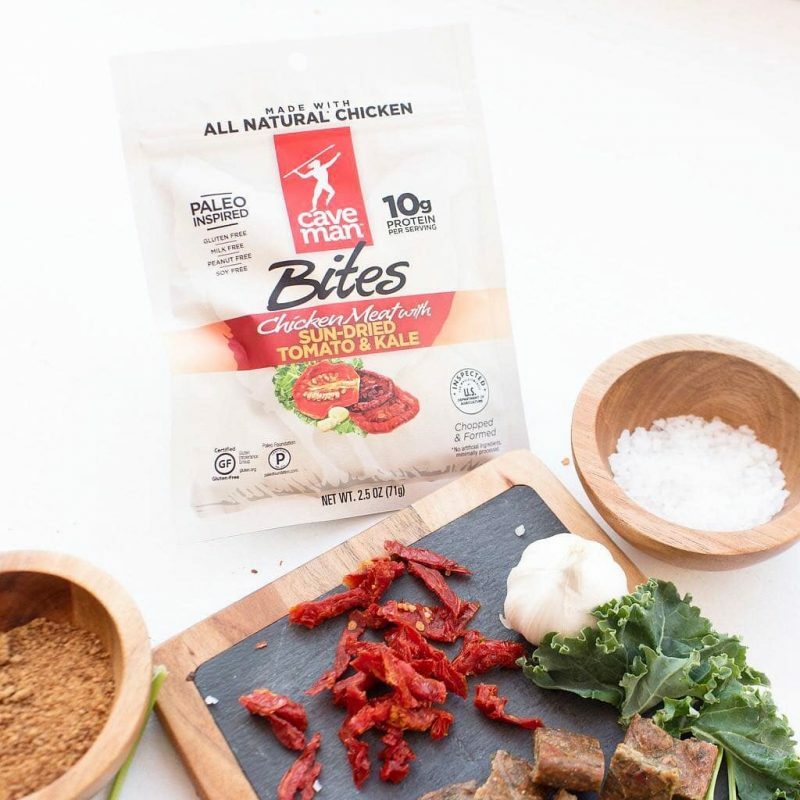 We don’t believe there should be a tradeoff between nutrition, taste and convenience. 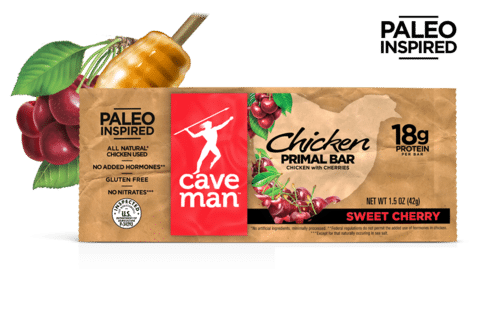 That is why Caveman Foods is dedicated to providing a variety of great tasting, nutritious snacks made from Paleo Inspired ingredients. We believe that what you put into your body affects what you bring to the world. When you don’t eat well, you don’t feel well. 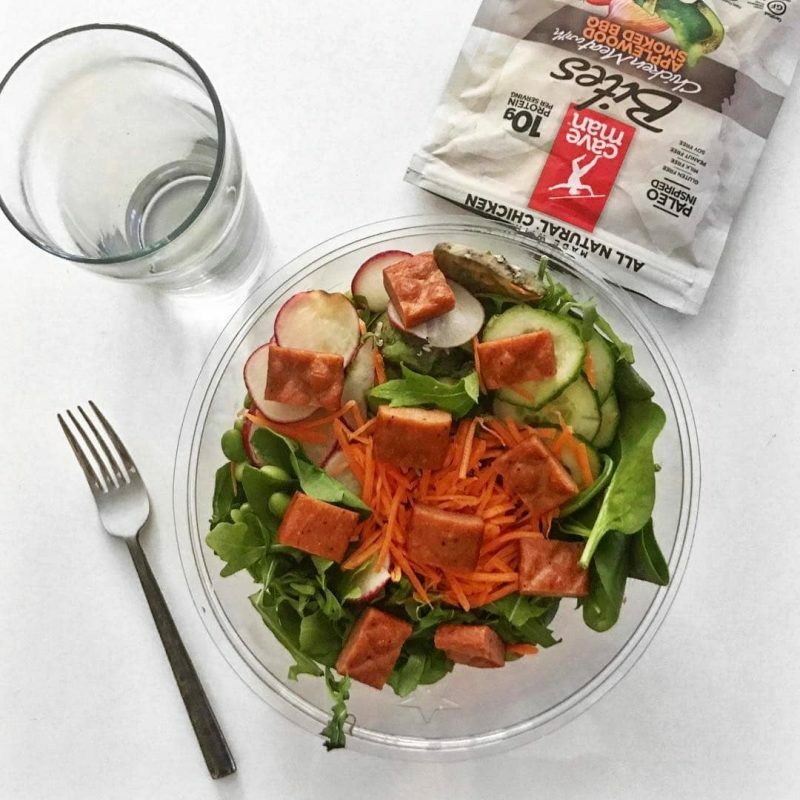 Our products are nutritious, wonderfully delicious and help you live your life the way you want. 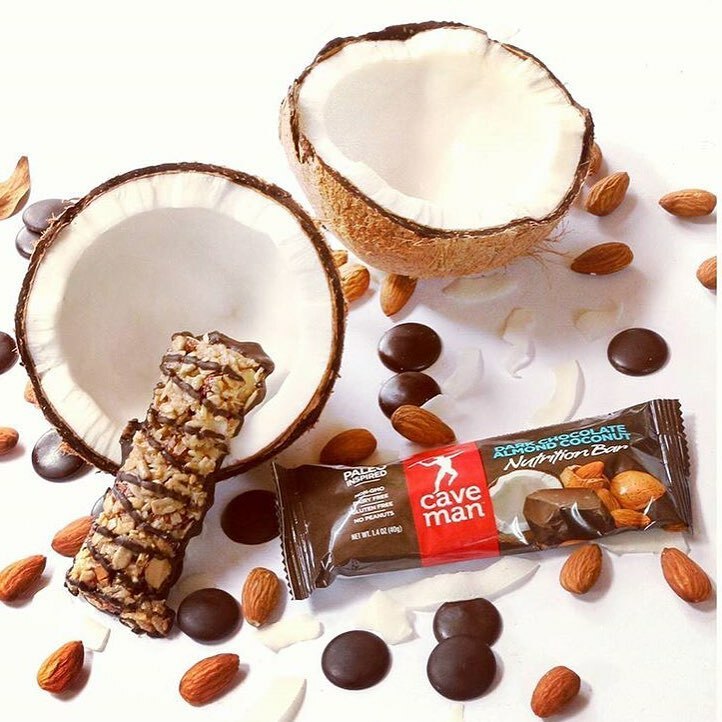 Every time you bite into a Caveman product, you’re doing something good for your body and your mind. In the simplest terms, Paleo eating is about consuming the foods we are meant to eat. It means eating nuts, berries, seeds, vegetables, eggs, fish and lean meats. It also means avoiding grains, dairy, legumes (e.g. 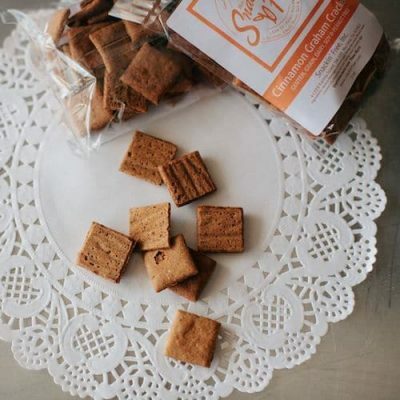 soy, peanuts) and refined sugars. Our digestive systems haven’t changed much since the days of our hunter-gatherer ancestors. However, our food supply has changed significantly, especially in the last 50 years. Unfortunately, many of today’s processed foods contain ingredients that are actually toxic to the body. This is why the incidence of allergies, obesity, diabetes and heart disease has dramatically increased recently. The Paleo eating style encourages us to return to eating the foods made with ingredients our bodies were meant to eat. We know that there’s no going back 50,000 years to a time when hunting and gathering real food was a part of our daily routine. So we have tried to make it easier for you to find great tasting, nutritious snacks by doing the hunting and gathering for you. We strive to provide real food with incredible taste. Chris Running, started Caveman Foods because he was inspired by the Paleo style of eating. Five years ago he tried Paleo for the first time. After following the eating style for 90 days, he lost 30 pounds, had higher energy levels and generally felt better. Despite being a lifelong swimmer and fitness buff, the Paleo lifestyle had a profound effect on his health and well being. He was a believer and started a company that could offer foods that are Paleo Inspired. 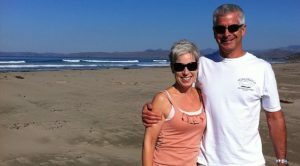 When he is not busy running the company, Chris enjoys swimming in Lake Tahoe, kayaking, paddle boarding and taking long walks with his wife Rebecca and dog Wally. Almonds, sunflower seeds, organic tapioca syrup, cocoa coating (sugar, palm kernel oil, cocoa powder, sunflower lecithin, salt), coconut, organic agave syrup, sesame seeds, honey, cashews, natural flavor, sea salt. Cashews, sunflower seeds, organic tapioca syrup, almonds, cocoa coating (sugar, palm kernel oil, cocoa powder, sunflower lecithin, salt), organic agave syrup, pumpkin seeds, sesame seeds, chia seeds, sea salt. 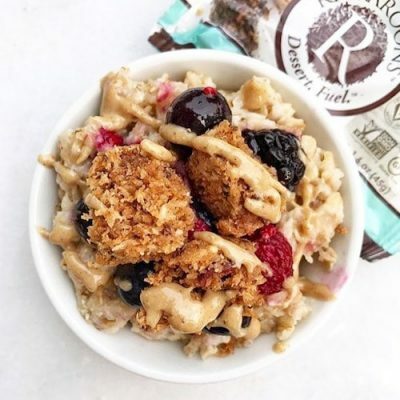 Almonds, sunflower seeds, organic tapioca syrup, cocoa coating (sugar, palm kernel oil, cocoa powder, sunflower lecithin, salt), dried cherries, cashews, dried cranberries (cranberries, sugar), raisins, organic agave syrup, sesame seeds, sea salt. Almonds, sunflower seeds, organic tapioca syrup, cashews, organic agave syrup, pumpkin seeds, sesame seeds, pistachios, chia seeds, sea salt. Chicken (White and Dark Meat), Blueberries, Chicken Broth, Honey, Apple Puree, Sea Salt, Pepper, Encapsulated Citric Acid, Garlic Powder. Chicken (White and Dark Meat), Honey, Chicken Broth, Apple Puree, Sea Salt, Red Pepper, Encapsulated Citric Acid, Dried Jalapeno Flakes, Chili Pepper, Garlic Powder, Onion Powder. 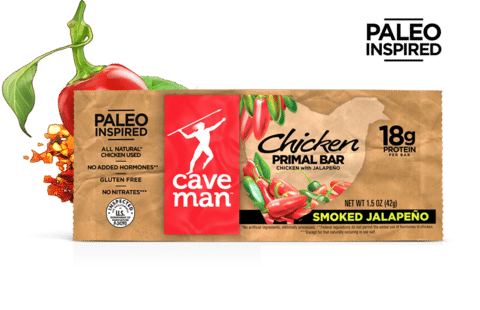 When I tell people I’m Paleo, the response I generally get is ‘oh, isn’t that the caveman diet? This is 2016, how can you possibly eat like a caveman?’ Smugly, I raise a single eyebrow and reply, ‘Quite easily.’ With the increasing variety of Paleo products and information around the U.S., eating like a caveman is so easy, a caveman could do it. 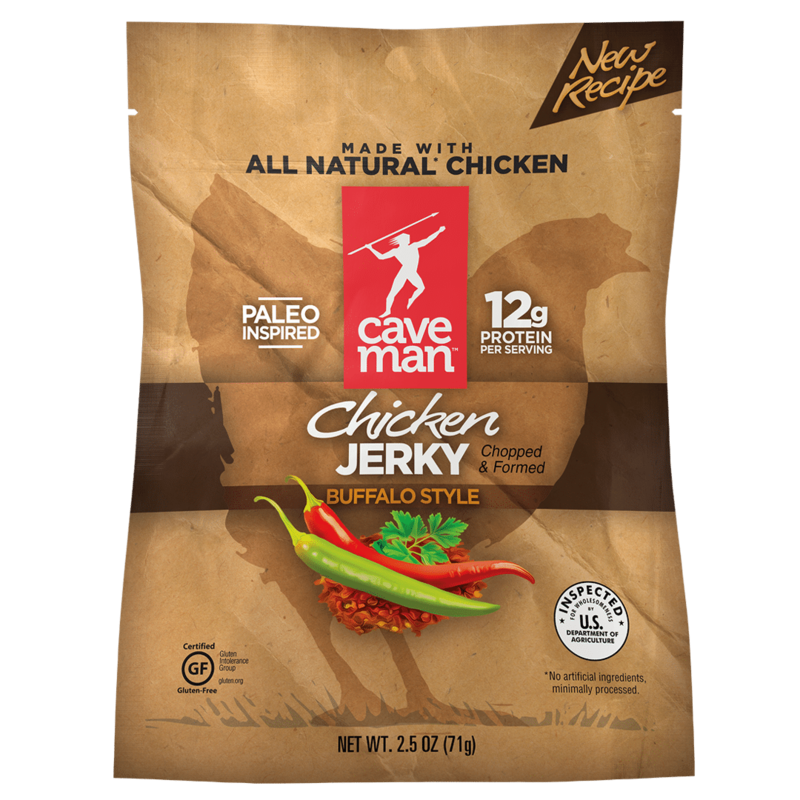 Caveman Foods, founded in 2011 by Chris Running, makes eating like a caveman easier than ever. From chicken and beef jerkies to nutrition bars, time spent hunting and gathering is limited to just a short trip to your nearest grocery store. I appreciate you taking time for us today, Chris. 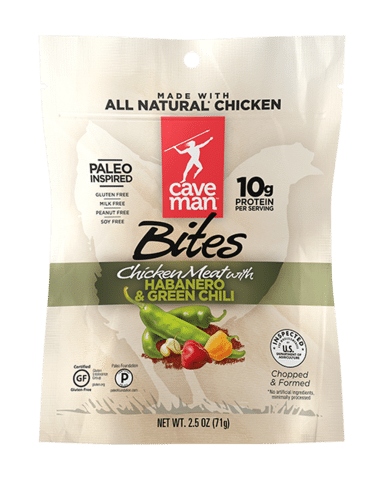 Can you tell us a little about yourself and how you got started with Caveman Foods? For good or for bad, I am what many describe as a serial entrepreneur and can’t resist a good idea. About 5 years ago, a friend convinced me to try the Paleo Diet. 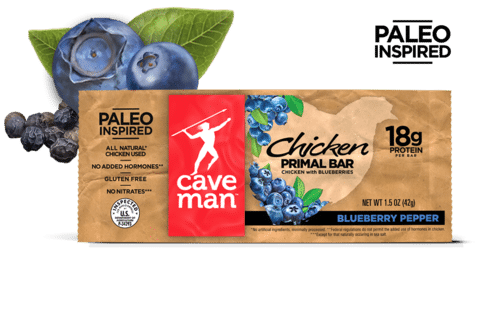 The personal transformation I experienced when I “went Paleo” was so profound, it caused me to think about how to incorporate the principles of Paleo into a snack food company. I saw the trends in healthy snacking and felt there was a real opportunity to provide customers with better snacking options. This was the foundation of the Caveman Foods brand. How did you get introduced to the Paleo world? 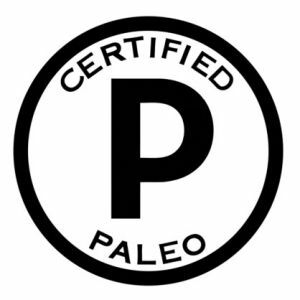 Talk to about your philosophy on Paleo eating and how that relates to Caveman Foods. I was introduced to Paleo by a friend of mine who is a Crossfit trainer. 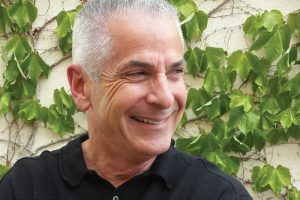 I’ve always maintained a healthy diet and active lifestyle, but when I paid more attention to eliminating grains, dairy and sugar from my diet, I realized amazing results very quickly – weight loss, more energy, better sleep. 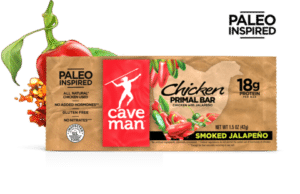 Eating Paleo has changed the way I think about food and how we think about developing products at Caveman Foods. How are your products made? Can you walk us through the process? Where do you source your meat from? Our products are made by co-packers/manufacturers who specialize in either nutrition bars or dried meat snacks. 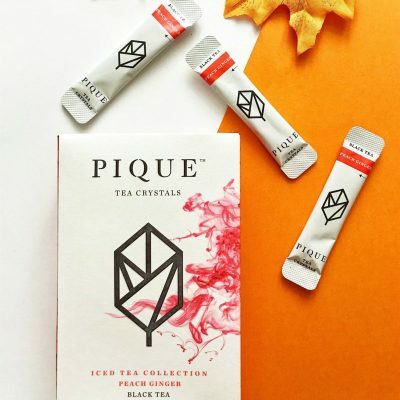 We’ve worked hard to identify and partner with the very best manufacturers who are passionate about producing high quality products out of clean ingredients. Our meat snacks are quite unique. 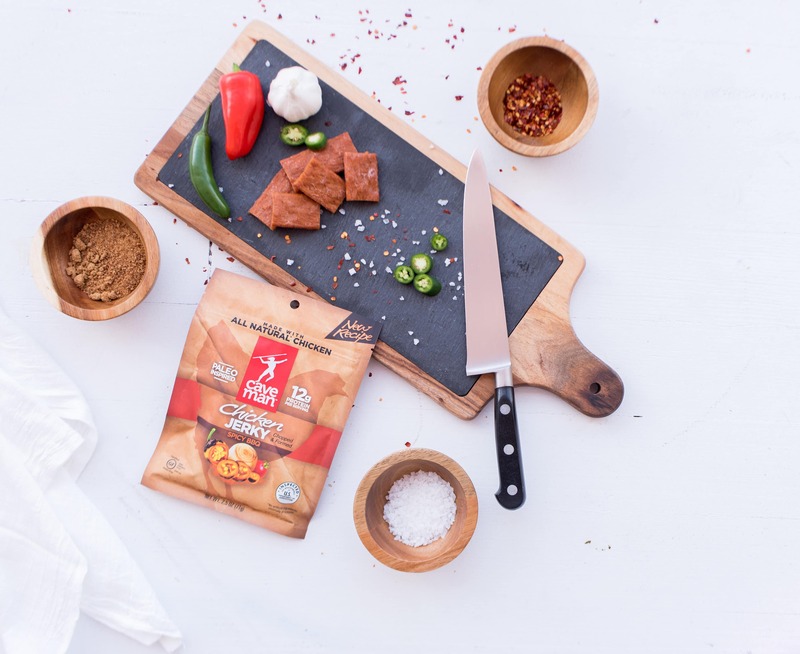 Unlike whole muscle jerky which is only seasoned or marinated, our meat snacks are made similar to how sausage is made – ground and infused throughout with seasonings and other ingredients. This allows us to mix healthy ingredients directly into our products (e.g. kale) to provide a healthier experience. 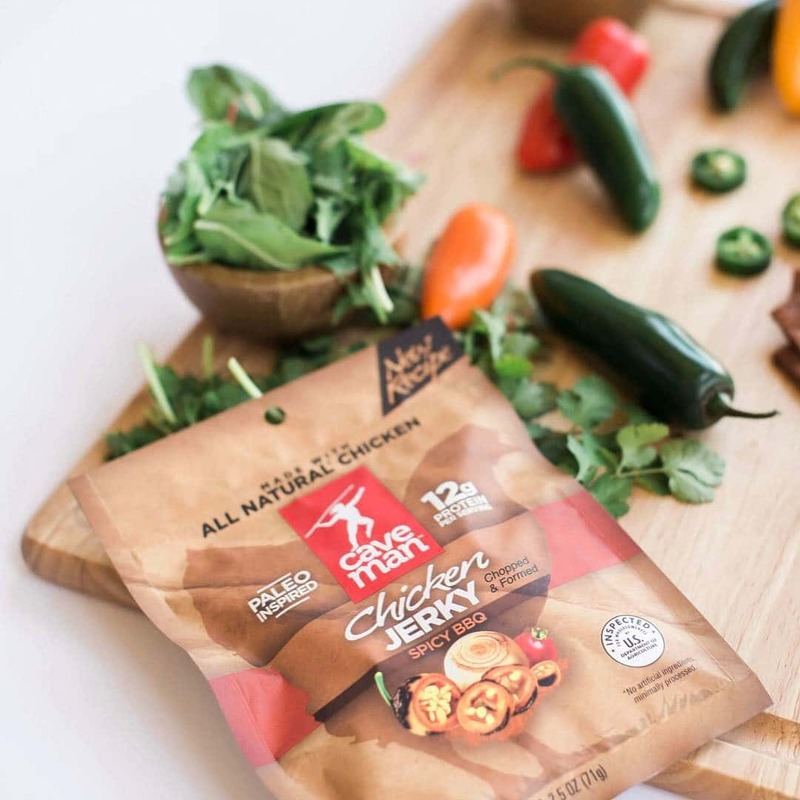 As a result, our meat snacks are tender, easy to chew and have a more consistent flavor in every bite. I regularly require a snack-rifice of some sort. For the hangry people in the world, what is your best recommendation from Caveman Foods to keep the hunger at bay? 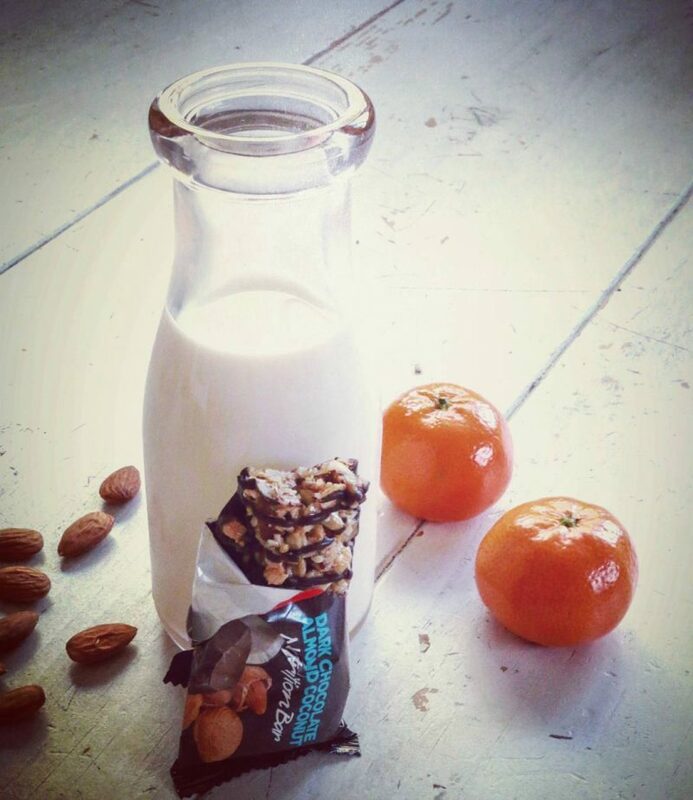 There is no “snack-rifice” with our products. They are super healthy and indulgent. A win-win combination. 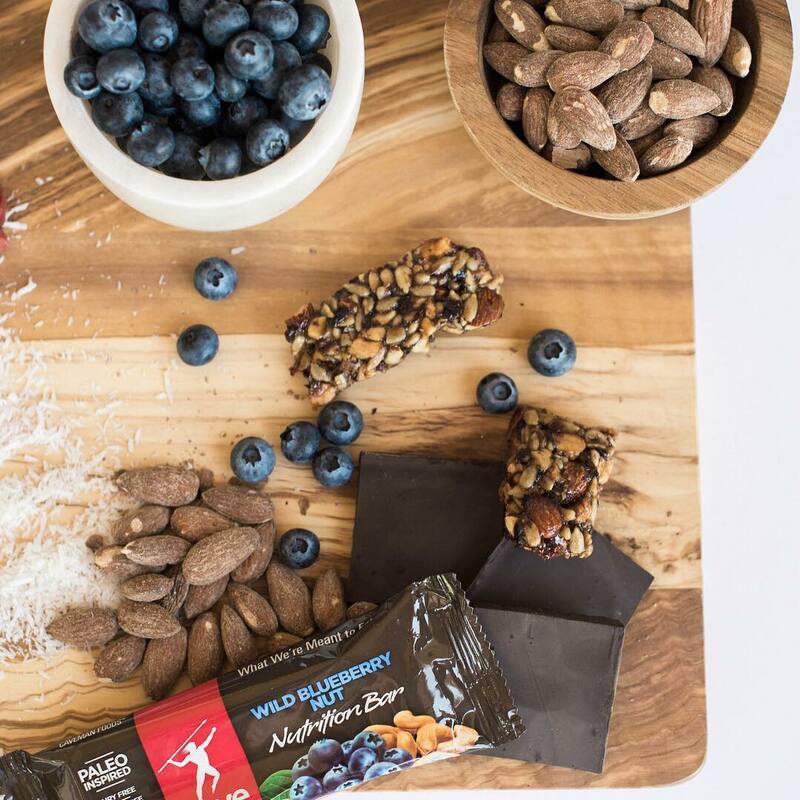 Our snacks allow you to eat guilt-free all day long. I like combining a nutrition bar and a meat snack item to provide a well-balanced combination of carbs, fat and protein. 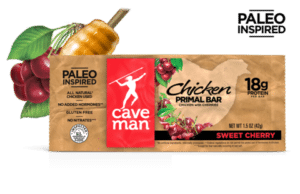 You have so many different kinds of Paleo snack foods, from chocolate nutrition bars to chicken jerky. How did you get to the decision that ultimately included all these different varieties of snacks? It started with the “hunter-gatherer” concept. 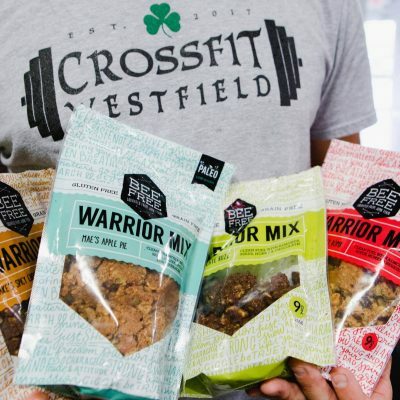 We feel we need to provide our customers with a variety of snack options that cover the key components of Paleo. 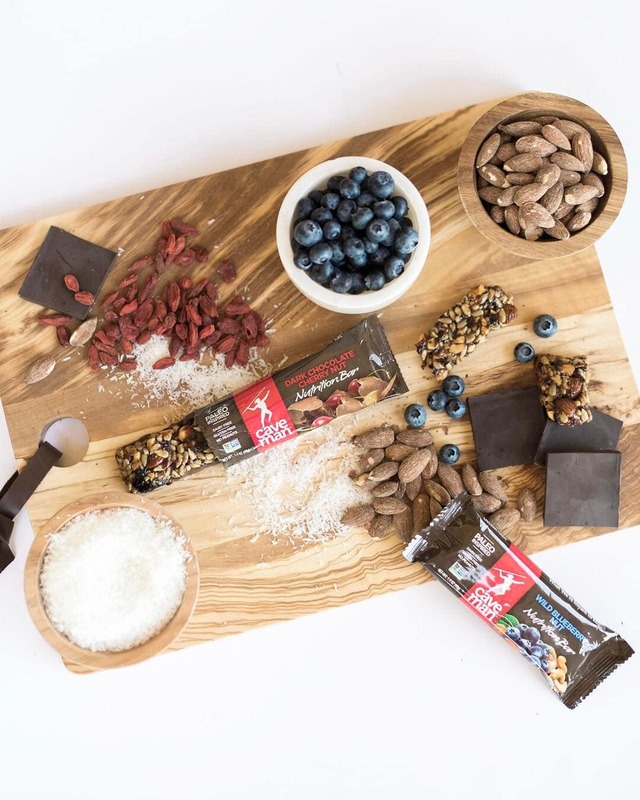 Our nutrition bars combine nuts, seeds and fruit, and our meat snacks provide lean meat (chicken), fruits and vegetable ingredients. Variety is important in the diet and we want to make sure we have a full complement of healthy snacks to satisfy the majority of users. If you were to emulate living like a caveman to the fullest, how would you go about doing it? 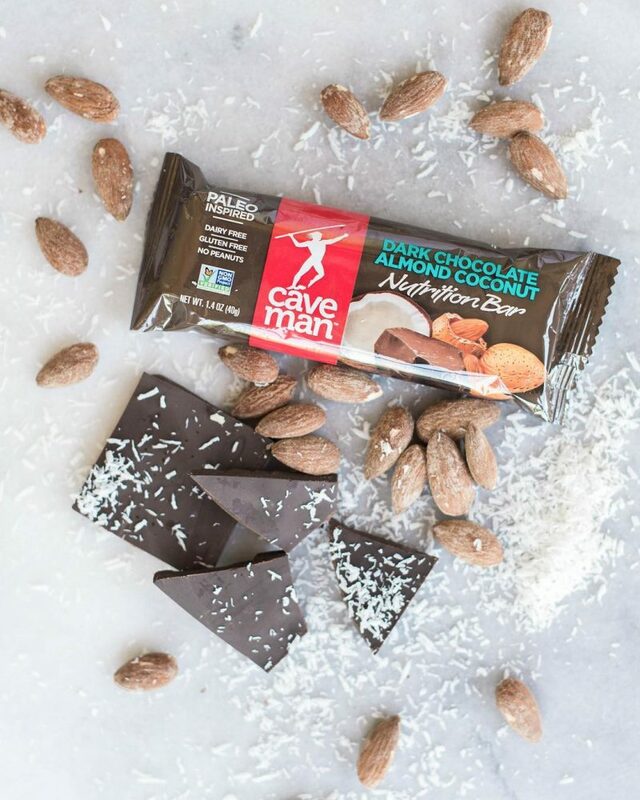 What do you think is the best part about being a caveman? If you do end up living in a cave, can you make room for me too? As a “modern caveman”, I think I’m living the lifestyle to the fullest. I eat Paleo, I exercise every day, I find time for solitude (my cave) to think about family, friends and life. As an entrepreneur I “hunt” every day. 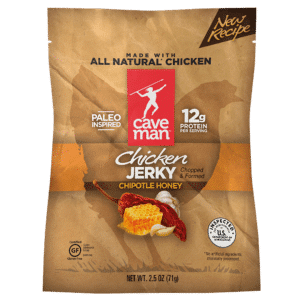 And the best part of being a modern caveman is I feel great about the products we’re making available to our customers. And of course I’ll make room in my cave for you. Bring your spear. Which foods are gluten free? 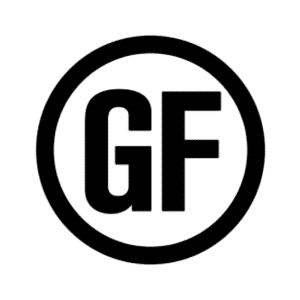 Answer: All Caveman Foods products are certified gluten-free. Do you offer samples or coupon? Answer: From time to time, we offer special promotions to our customers. Be sure to sign up for our newsletter to ensure you don’t miss out on these great deals! Do you sponsor events and/or athletes? Answer: We are passionate about supporting our community of healthy, active individuals at athletic events. 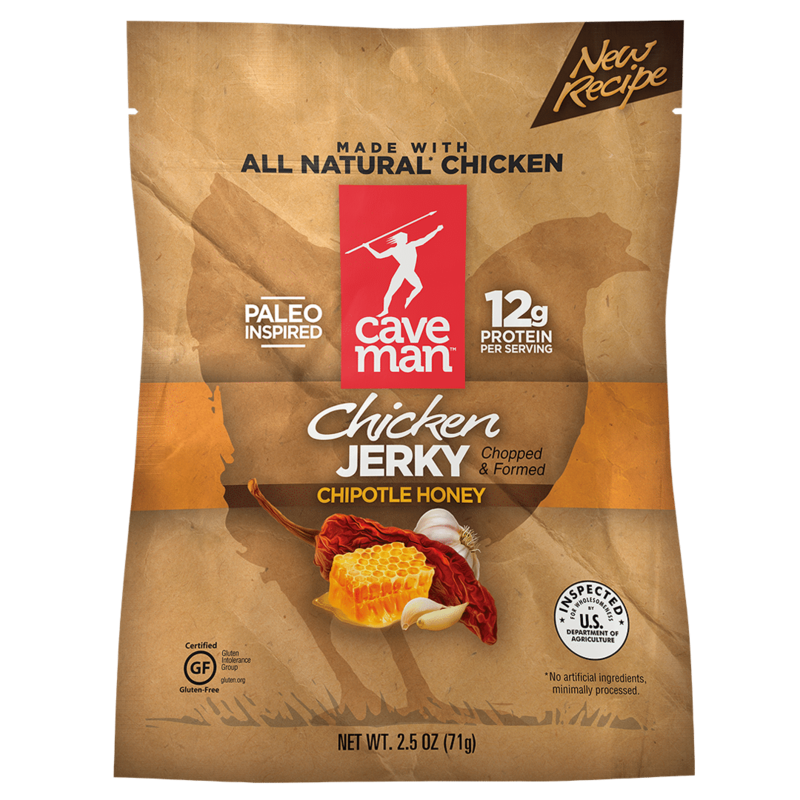 For sponsorship inquiries, please email info@cavemanfoods.com. Are your foods available outside of the USA? 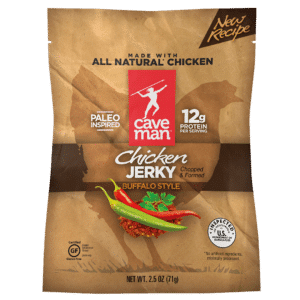 Answer: Currently, we do not ship outside the USA from cavemanfoods.com. 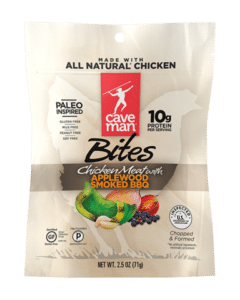 Caveman Foods products can be found in select Canadian retail locations. 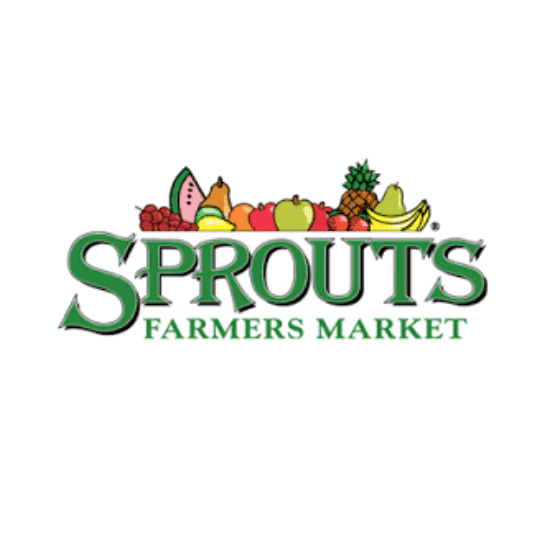 Please use the store locator to find a location nearest you. Answer: Our food is made in the USA. Do you work with bloggers for product reviews? 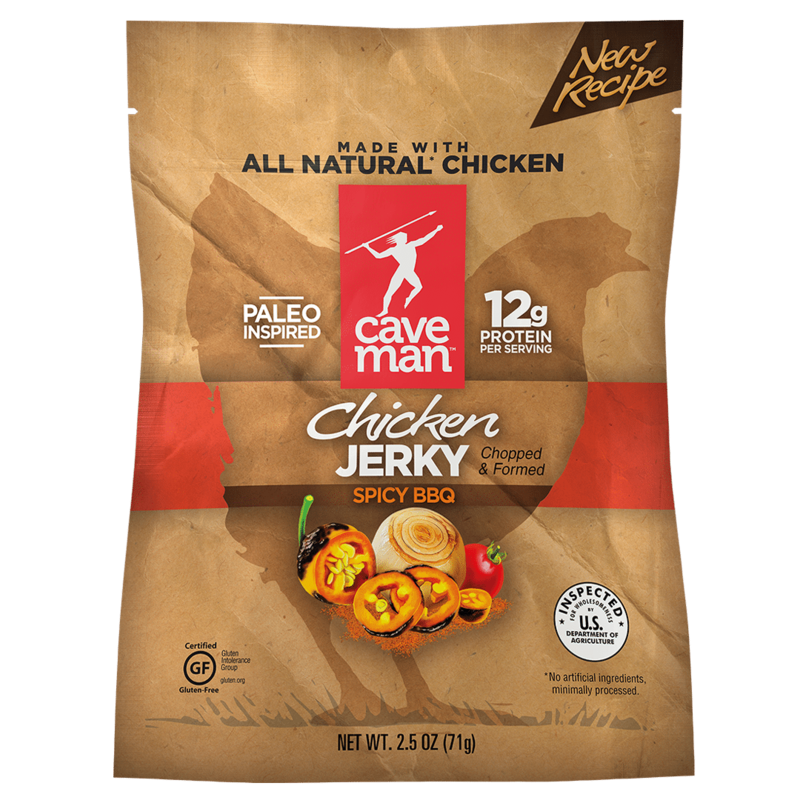 Caveman Foods is the leading provider of paleo inspired snacks. We are a high growth business with a successful retail business and we are investing heavily in expanding into the digital space. 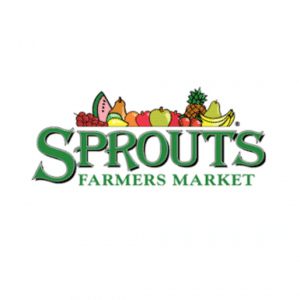 You can currently find our products in retailers like Costco, GNC, Vitamin Shoppe, CVS, Walgreens, Gold's Gym and Sprouts. Our early efforts in digital have been very strong, with an average order value of $65 and an average conversion rate of 4.8%. 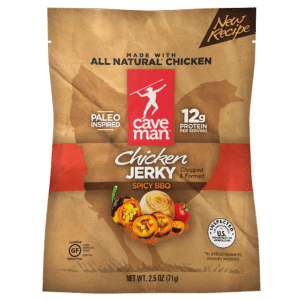 You can learn more about our products at cavemanfoods.com. For more information, sign up here.